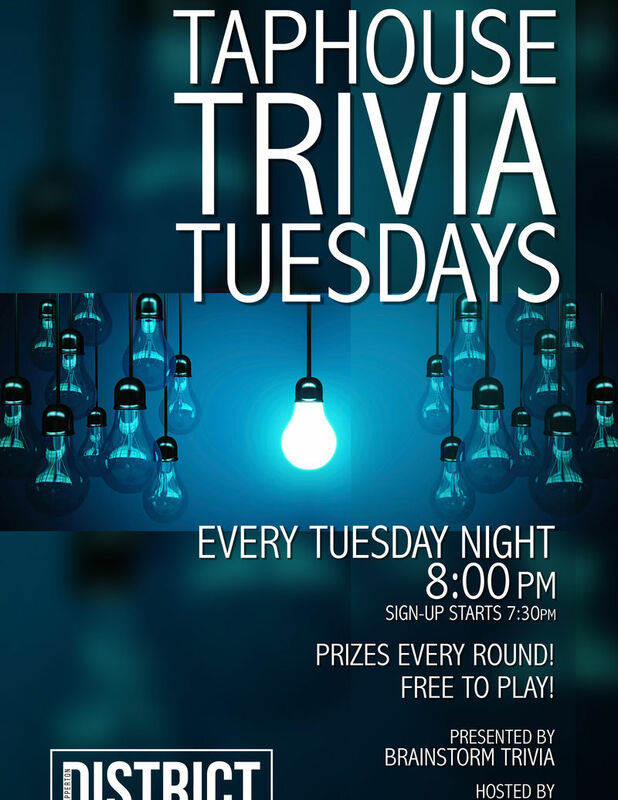 Brainstorm Trivia presents a classic weekly pub quiz every Tuesday night at Sapperton District Taphouse. Get your teams together, or take on the challenge solo, as award-winning host Gregory Milne (The Radical - Improv Comedy) delivers four rounds of mind-bending trivia. Prizes every round: Including bar swag, show tickets and your chance to draw mystery items from Brainstorm Trivia's infamous "Bag of Crap"! And best of all: It's totally FREE! So come on down to the Taphouse, grab some food and drink, and prepare for a night of learning and laughs!